Whenever I see a stripy fabric the design for a stripy top immediately materialises in my head - I really do love stripes! 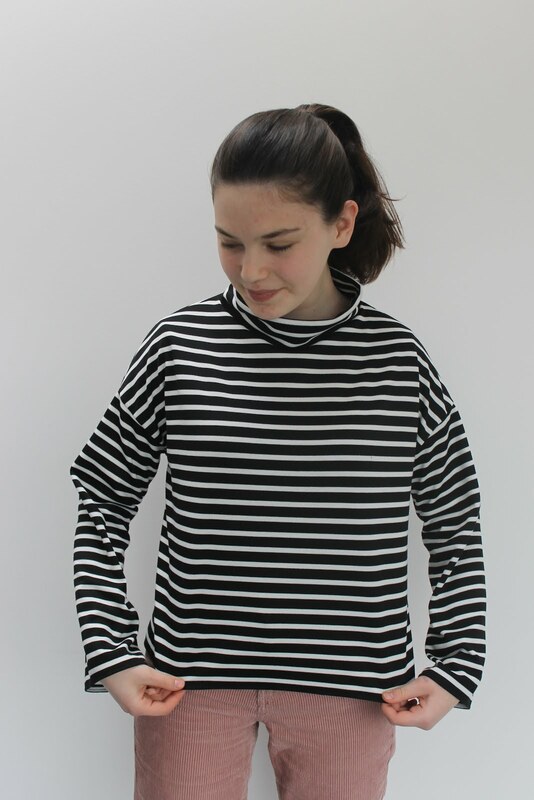 This does, of course, mean that I have a fair few stripy tops but one of the things that I was lacking was a stripy top that could be worn as a jumper. In other words, a top for winter that could be worn with a t-shirt underneath. The criteria that I had in my mind meant that the fabric would also have to be of a heavier weight, meaning that this stripe ponte roma fabric was absolutely perfect. I wanted to create a top which was cropped and boxy, in my opinion the perfect style for a cozy but nice top. 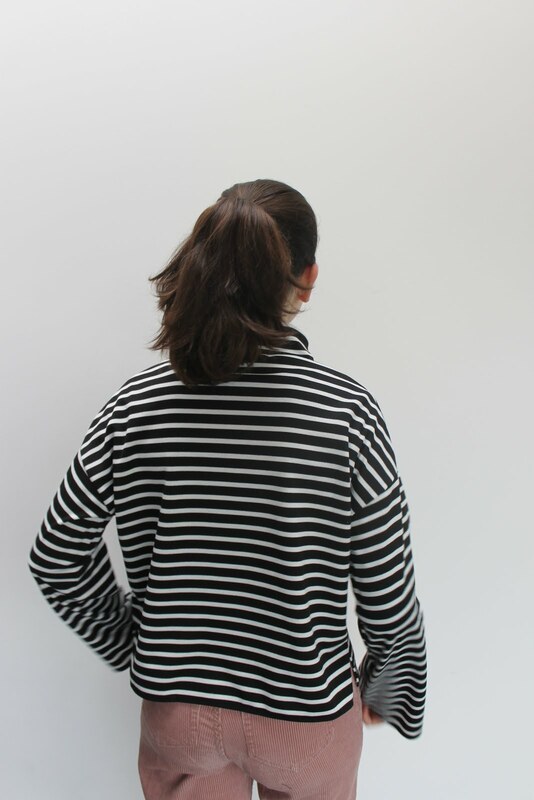 One of the things I love about this design with this particular fabric are the dropped shoulders; the stripes mean that at the top of the sleeves the stripes appear to be vertical at the top and horizontal at the bottom. 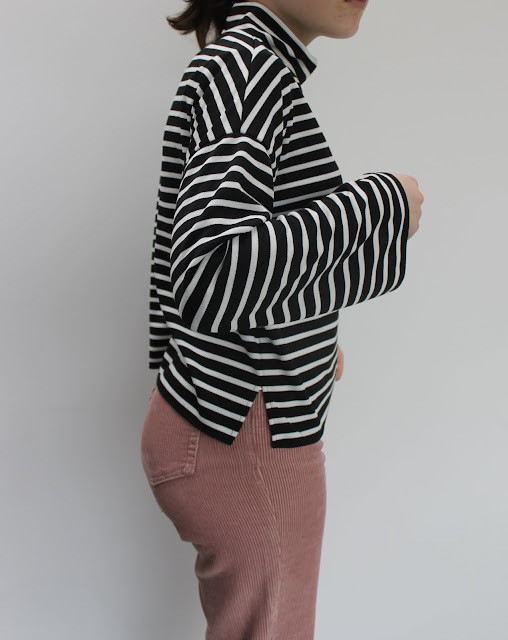 The dropped shoulder also means that the sleeves are quite roomy giving the top the boxy look and allowing for a t-shirt to easily be worn underneath. I drafted this top using a jumper borrowed from my friend and was amazed to see how similar the Tilly and the Buttons Nora top was to this top when it was released a couple of weeks later. It's a pattern that I probably would have bought had I not already drafted a similar one myself as I really like the style of it. I used the same self-drafted pattern for this top and the one that I made a few of months ago and I'm always surprised at how different the same pattern can look made in two different fabrics, in this case a heavier weighted ponte roma compared to a lightweight jersey. I did make a couple of very small changes to the design of this top compared to the other although they are pretty much the same. 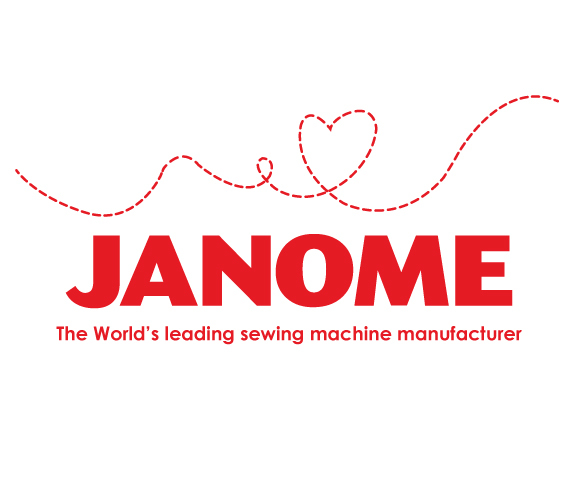 The first change is the rather minute detail of creating a split-hem of even length at the front and back rather than a high-low hem. To be honest the main reason I did this was because I was worried that the front would be too short it I turned it up but any more and I'm glad I didn't as I like the length as it is. A split-hem is one of my favourite details and I think that it's particularly good on a boxy top as it creates a bit of definition. The other change I made was to lengthen the sleeves. Although the sleeves on my previous top are by no means short I like to wear a long sleeve top underneath and didn't want it to show. Also, having extra long sleeves make the top really cosy. One of the nice things about making a pattern more than once (especially if it's a self-drafted one) is being able to adapt and tweak the pattern after appreciating the previous mistakes. I really wasn't thrilled with the neck of this top once I finished it but it's something that has grown on me the more I've worn it. I love turtlenecks in winter but for some reason didn't like this one. I don't know if it's do do with the stiffness of the fabric or the shape of it but I was very close to unpicking it and sewing on a neckband. However, I decided to keep it on and wear it for a bit and as I said it's definitely grown on me. I still don't love the neck but I do love the top as a whole so I think I'm going to keep it this way. This is a very nice knit top! I really like the addition of the split hem. And I think the neckline looks fine, but personal preference is always important. Here we go with stripes again - Love your top! This is so cute on you! Love the stripes! !